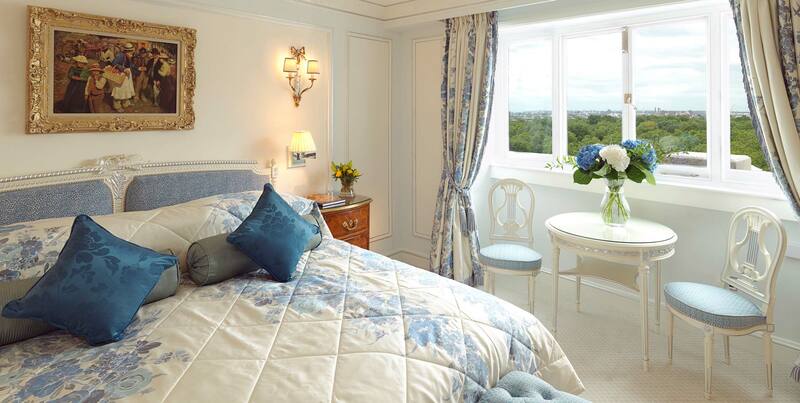 Our two bedroom Green Park Suite is a perfect blend of traditional elegance and tranquil views. 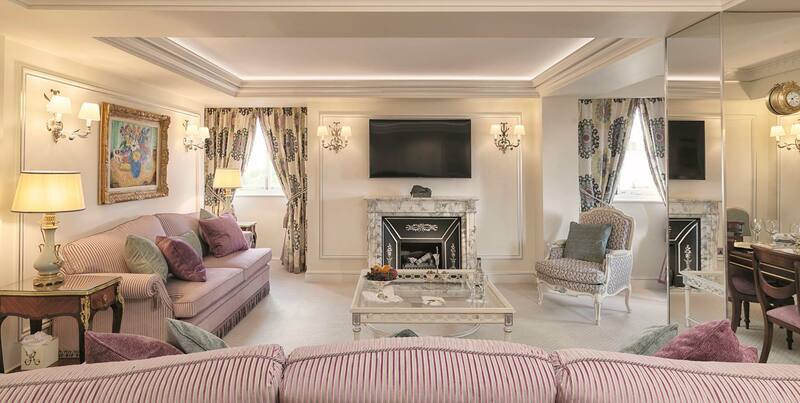 This spacious private apartment 1200 sq ft (111m2) has two beautiful bedrooms, large en suite marble bathrooms with underfloor heating, and a stylish sitting room with an oak dining table for up to six people. 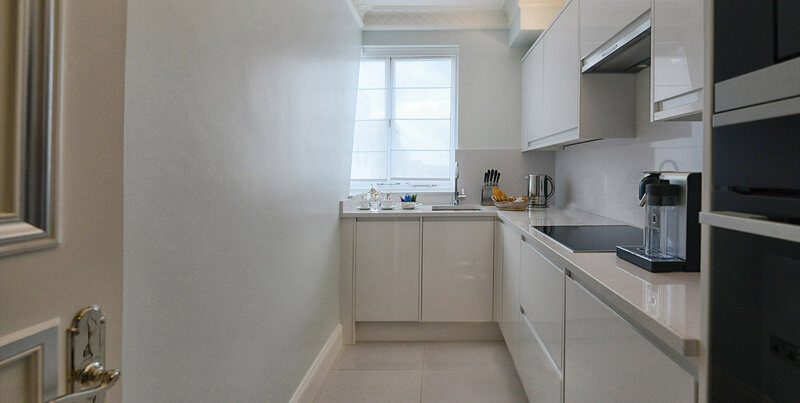 This light and modern apartment which is decorated in a fresh sliver leaf design, is also fitted with a fully equipped kitchen which offers guests the ultimate flexibility when it comes to preparing meals. 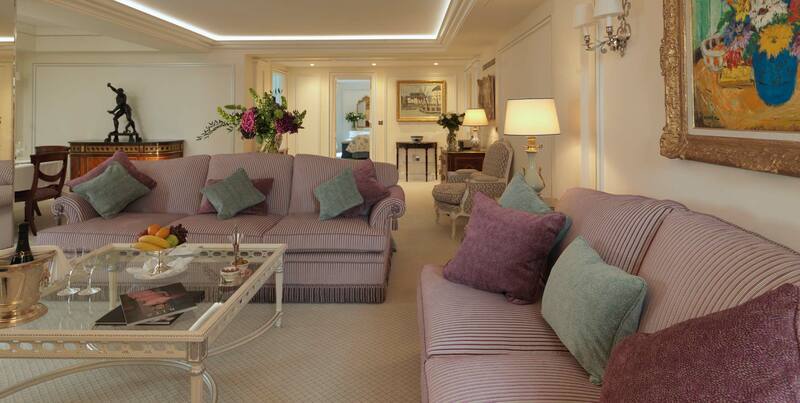 The Green Park Suite is also available as a three bedroom suite 1990 sq ft (185m2). 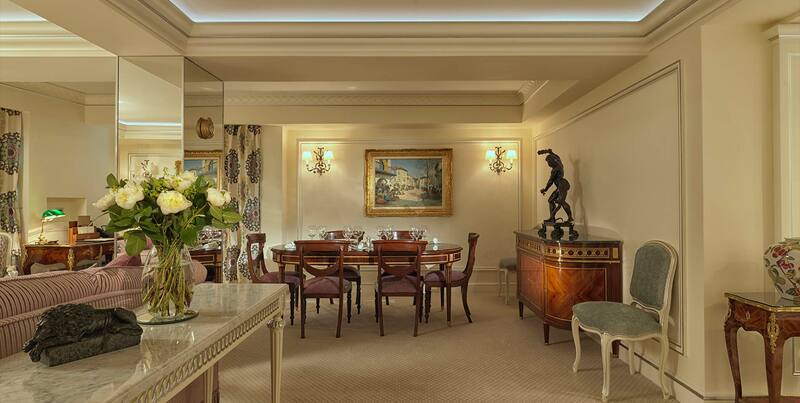 To book the two or three bedroom Green Park Suite please telephone Reservations on: +44 (0) 20 7300 2222 or email an enquiry. 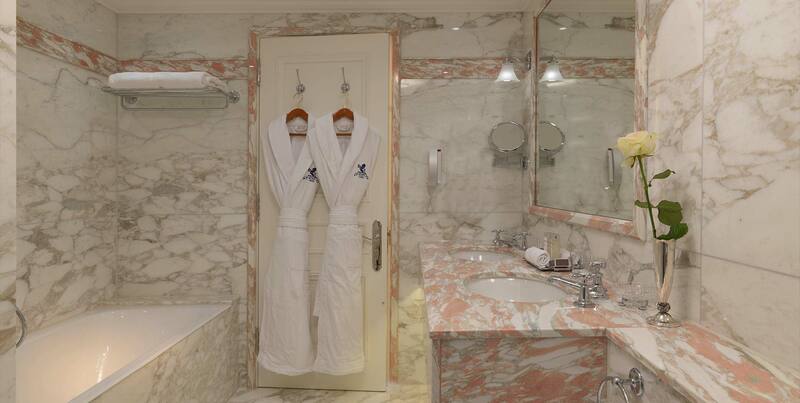 To book the two bedroom Green Park Suite you can use the Book Now button below.